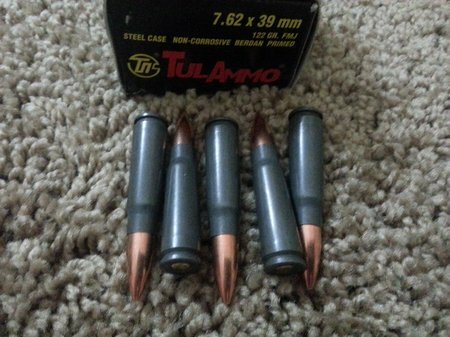 Tulammo is available just about everywhere ammo is sold, online, in Cabelas and most gun stores. 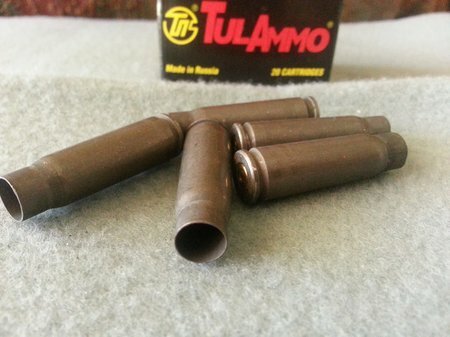 Tulammo is very inexpensive but is it good ammo to use in modern weapons? Let’s take a closer look at Tulammo. 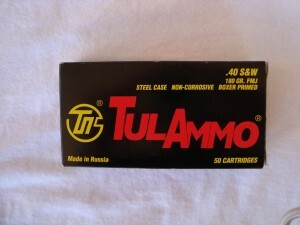 Tulammo is small arms ammunition manufactured by Tula Cartridge Works located 100 miles south of Moscow, Russia. Tula has been manufacturing ammunition since 1880. Tula has over 140 years of experience manufacturing small arms ammunition and supported WW II against Nazi Germany. Tula continues to refine its manufacturing process to increase the quality of its products to this day. Tula originally manufactured ammunition with brass cases but switched to steel in the 1920’s to conserve precision metals like copper. Russia had huge reserves of steel and made use of this resource to make cost effective cartridge cases. Tula manufactures 40 types of small arms ammunition for commercial markets and the Russian military. Tula ammunition is high quality and meets Europe’s C.I.P and USA’s SAAMI requirements. 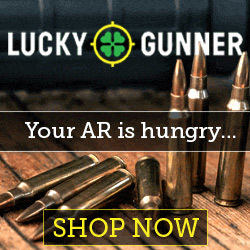 Now lets talk about the ammo itself and how its made. Tula uses steel cases for most of their ammunition because it’s cost effective and the performance is high. The steel used in the cases is a soft steel that is “annealed” or heated and cooled slowly to soften the molecular structure. It is not the same steel used in gun barrels or gun actions. So the answer to the question, “Will steel cased ammo damage a gun?” The answer is NO. Steel cased ammo is very safe to use in most firearms. Tula ammunition is loaded with non-corrosive powder and primers. So you do not have to worry about barrel or action corrosion due to corrosive propellants. I have heard lots of questions/concerns about “Bimetal” bullets. So what are Bimetal bullets and is there any concerns about shooting them in a modern gun? Tula and other Russian, Serbian and Ukraine manufactured ammo may use these bimetal bullets. Bimetal means 2 metals…steel and copper. The bullet jacket is made from a soft steel and then coated with one of more layers of copper. The steel provides a tough/strong jacket that will perform extremely well while the copper outer layer provides a softer and more lubricating material that is easier to slide down a steel gun barrel. It also seals powder gasses very well and its very cost effective. The Bimetal bullets look just like regular copper bullets. They do not look cheap or poorly made. I have fired many rounds of Tulammo in several guns without issue. I still buy and shoot Tulammo today.